Businesses are open to all types of risks every day, from theft and fire damage to liability law suits. Very few businesses can operate when such disasters strikes or cover such risks financially. This is where business insurance comes in and it’s why Intergate offers advice and assistance with business insurance in South Africa. South Africa does not offer the same amount of state protection offered by many European countries when it comes to insurance. There are, however, various types of commercial insurance available in South Africa. These range from basic retail insurance products to more sophisticated liability and indemnity products. In order to pick the right product for the business you’re setting up in South Africa, it is recommended to have a proper risk assessment done. This will ensure that the product you pick provides adequate cover. Property insurance protects the premises and contents of a business against loss or damage. You could opt for a product that also insure the property of others in your control at the time of the loss. Take out liability insurance to protect the business when sued for negligence. This could be, for example, when an employee is injured on the job, when a customer suffered an injury while visiting the business or when someone is impacted negatively by your employees or goods while in transit. Theft or broken equipment has the potential to stall business operations. Business interruption insurance will protect a business’s finances until the business is up and running again. Accidents happen and when they happen to employees while on the business premises, the payout from workers’ compensation will act as a way to replace wages and pay for medical treatments and procedures. 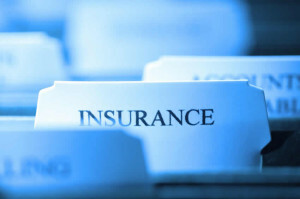 It is important to review the insurance needs of a business on a regular basis. As the business grows, the potential for risk becomes bigger. Intergate’s corporate team has helped hundreds of foreign business owners select the correct insurance for their business in South Africa. Let us do the same for you. All you have to do is call to speak to one of our client managers. Our Cape Town team can be reached at +27 (0) 21 424 2460, while our Johannesburg team is available on +27 (0)11 234 4275. You could also get us to call you instead and it’s as easy as requesting a free call back. One of our client managers will endeavour to contact you within 24 hours to discuss your insurance needs.